What's my cut, what's Mediavine's cut? Most agencies only provide you reports after ad serving fees, commissions, discrepancies, etc. For us, that’s coming out of our 25% (or 15% or 10%, depending on your ad impressions for the last 30 days). The revenue share will automatically adjust for a single day’s earnings based on the previous 30 days’ ad impressions. There will be a note in your dashboard to let you know what revenue share that day’s earnings were calculated with. 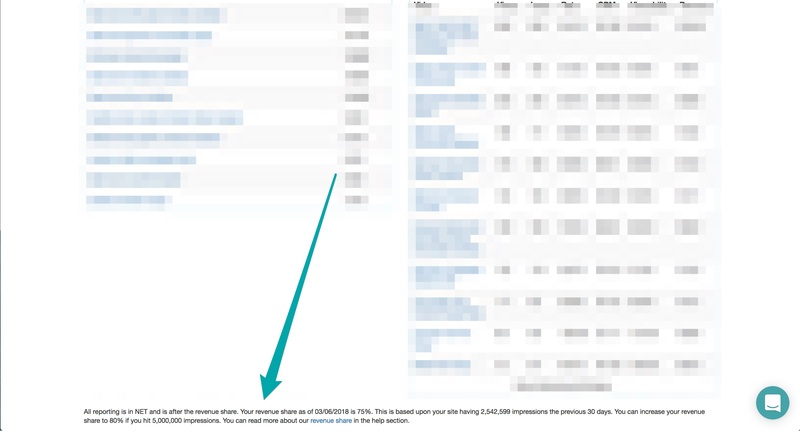 Since this is a rolling 30-day calculation, it may fluctuate day by day based on the number of ad impressions, but previous days will not be re-calculated. If Day 8 was calculated at 85%, and Day 9 at 80%, Day 8 does not get recalculated to a lower revenue share after the fact. 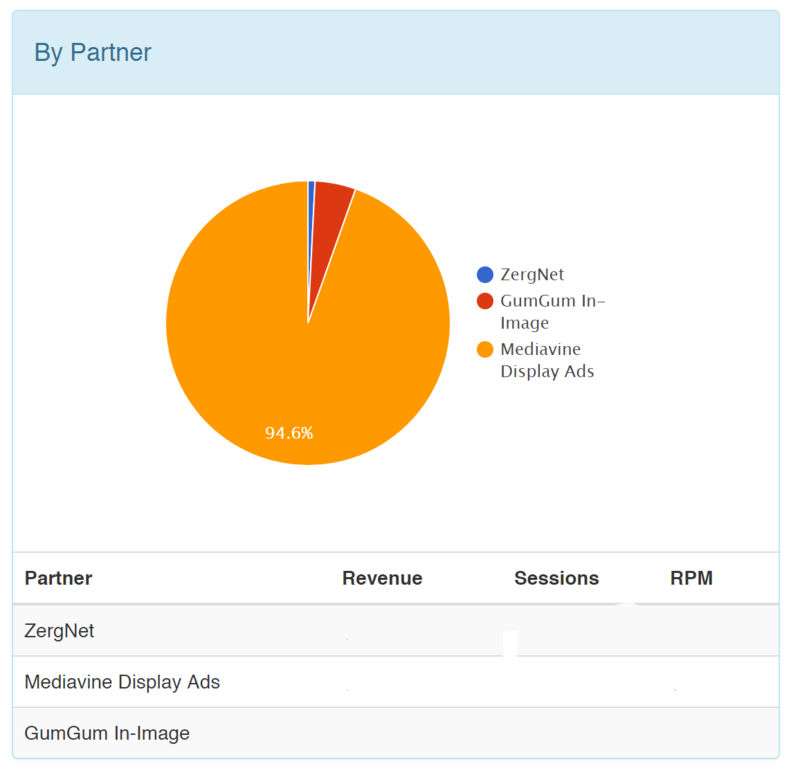 Your total number of impressions is available in your dashboard in the table titled “Mediavine Display by Ad Unit.” The second column of the table, labeled “Impressions,” shows the total number of impressions for whatever date range you set (default is 30 days). With these partnerships, the revenue share remains 80% to the publisher and 20% to us. We do not have the expense of the ad server, and that split — negotiated on behalf of Mediavine — is better than an individual publisher could receive, even with our 20% commission. How can I tell what MY revenue share is on any given day? Login to your Mediavine Dashboard and look all the way at the bottom of the screen. Your revenue share is listed there, daily.